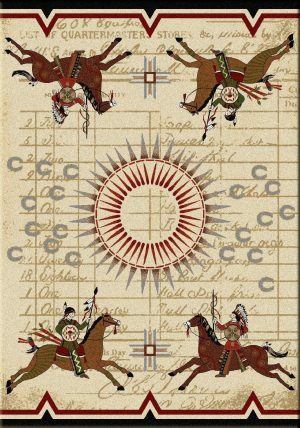 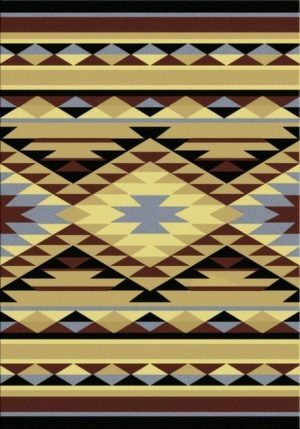 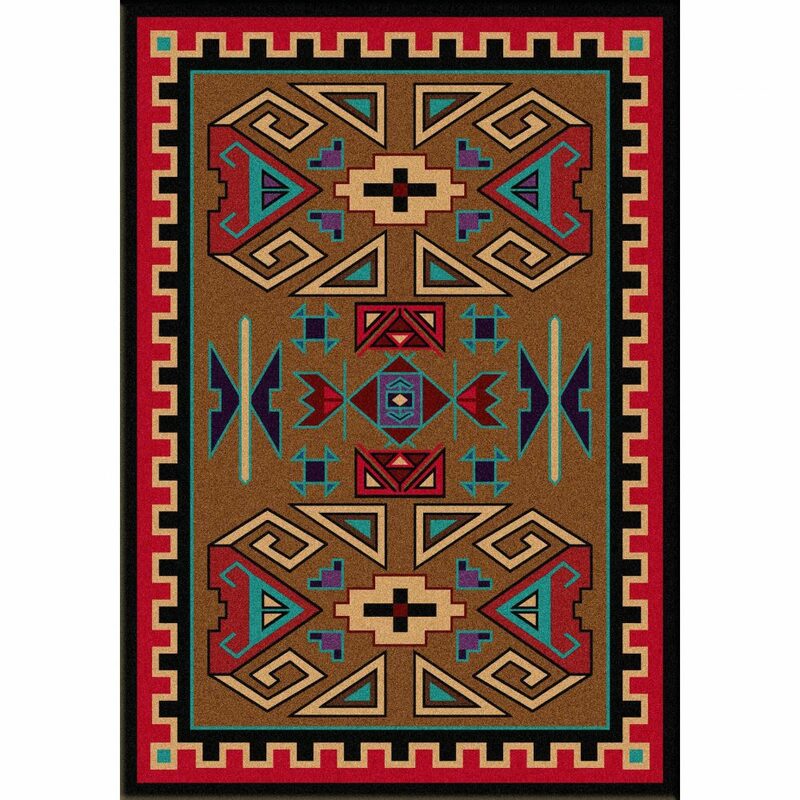 Four Rams Southwestern rug is a pattern in the Trader collection by American Dakota. 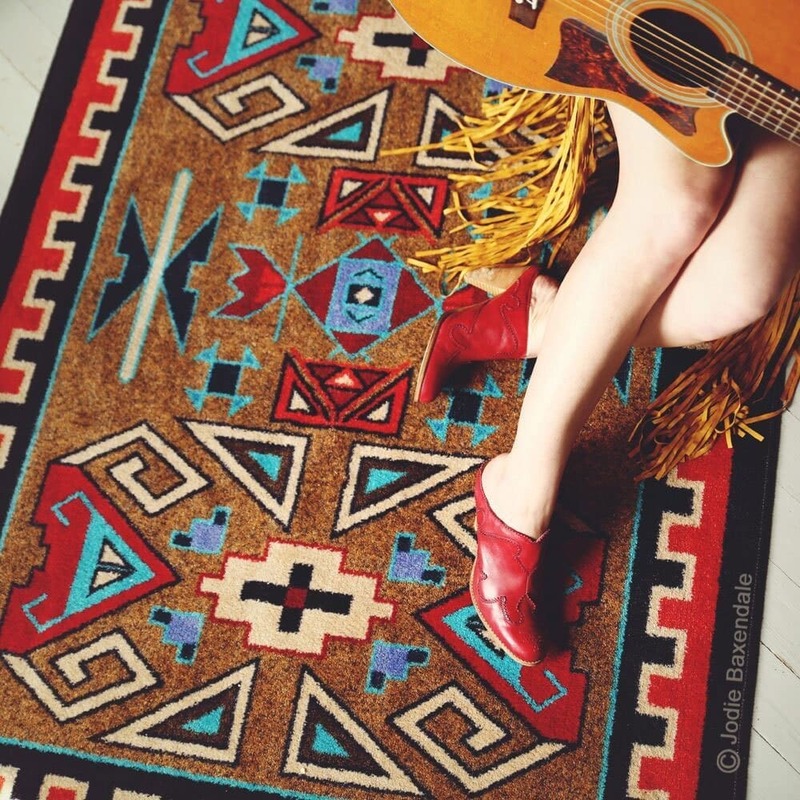 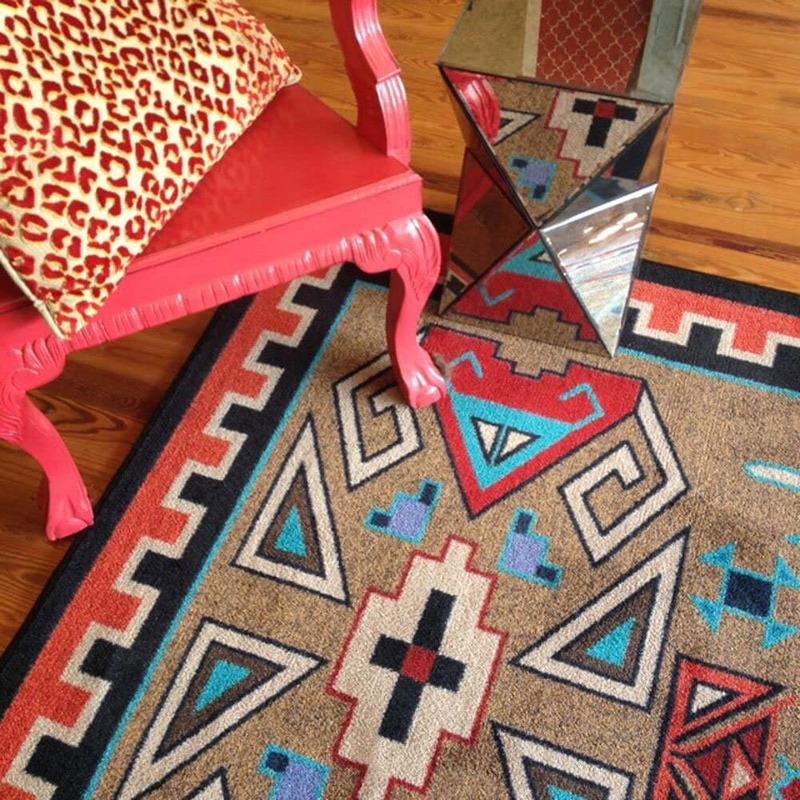 The bright rug will add pops of red and turquoise to your decor. 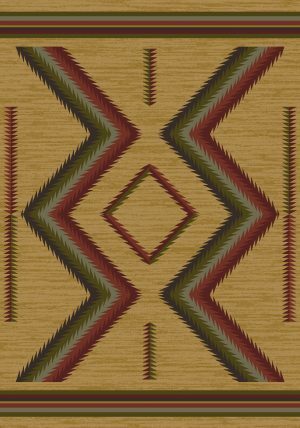 The rich brown background will complement the warm tones in natural wood flooring or furniture. 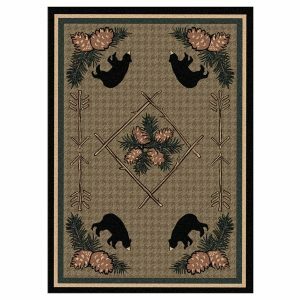 Rugs also help to prolong the life of your hardwood floor. Four Rams Southwestern area rug is rated for high-traffic areas. 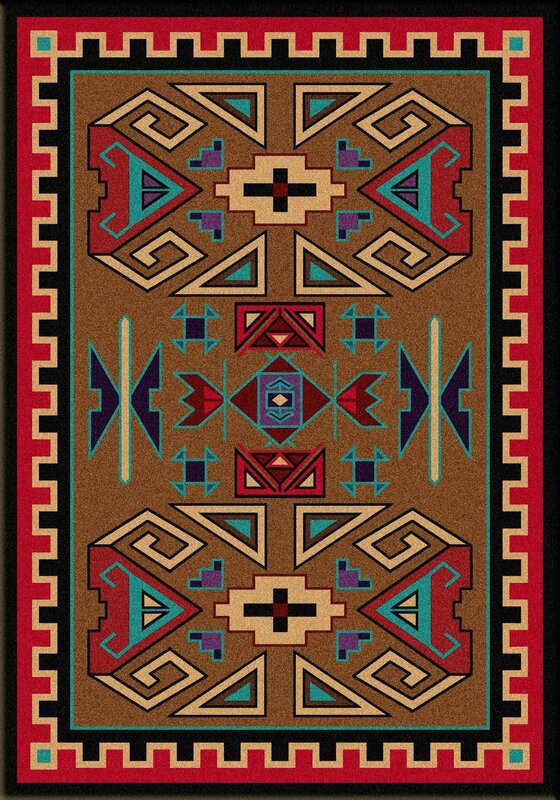 American Dakota rugs are also soil resistant and easy to clean so their ideal for busy families. 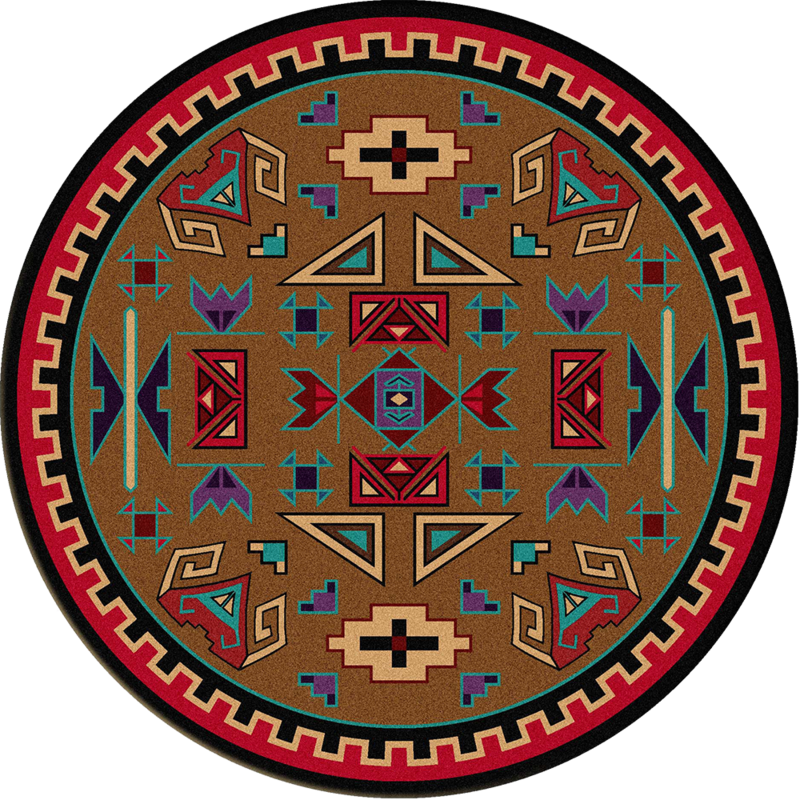 For instance, a 2×8 runners will help catch tracked in mud whether it is in your entryway, kitchen or garage.